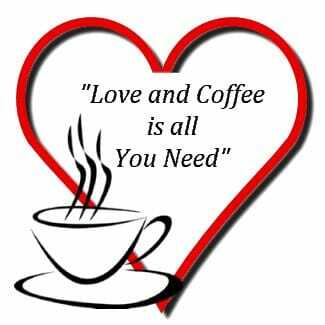 Lets Talk About Love and Coffee. Why do you Love coffee so much? Love and Coffee: Why do I love coffee so much? 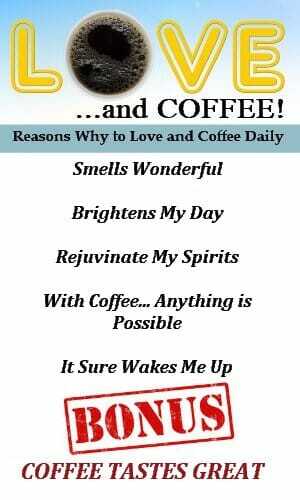 Why I love coffee? Why do I like coffee? This are some good questions that I have asked myself on many an occasion. Those who know me, know that I have 2 loves in my life. My love for my children and coffee. Those are the things that keep me going every day. I do not know why I love coffee so much. All I know is that it helps me out of bed in the morning and it soothes me at night before settling down for a long day. And yes, It also keeps me awake thru out the day. This site was started by me for my daughter. I Love My Coffee and She Loves her Wine so… coffeeNwine was born. I do most of the work, graphics, videos, articles, seo, promoting and most parts related to keeping this site up. It has become a nice hobby for me to enjoy. I have met lots of cool people in the process of making this site and yes I like to talk about Love and Coffee occasionally. There are many reasons why people love coffee. Here is a list of the things that we have found out in the process of making this post. Coffee enhances your mood, you become more alert and can concentrate better, as a bonus it tastes GREAT!!! It is no wonder that Love and Coffee come hand in hand. 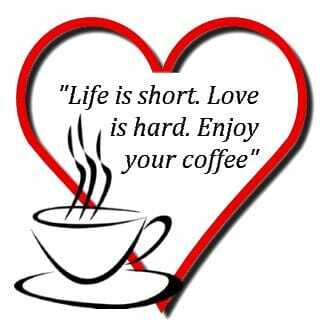 Coffee lovers thru out the world live for their everyday cup of COFFEE and they just LOVE to have it daily. I know that personally, I love my cup of coffee any time of the day. On a good day, I can drink 5 to 8 cups of coffee a day and I have many reasons why I enjoy it. Did I miss any good Love and Coffee reasons above? Please let us know in the comments below. 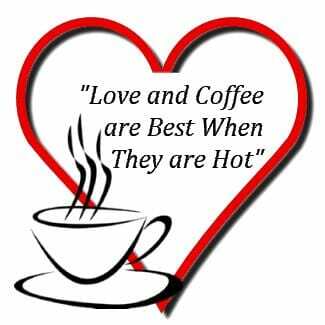 Here are some of the best Love and Coffee Quotes that I have seen. This is a list of some of the ones that I have found on the web and some of my own. “If I have coffee, everything will be fine”. Did I miss any good Love and Coffee Quotes above? Please let us know in the comments below.